Here's one I cooked before... it's been sitting on a back burner for ten years ... and I thought it was time to bring it out ..
WARWICK, Giulia [EHRENBERG, Julia] (b 46 Warwick Street, St James 15 January 1857; d 12 Rathbone Place, London 13 July 1904). The three musical Ehrenberg sisters were born in London, the daughters of a Polish-born tailor, Jacob Ehrenberg, and his wife Evelina née Elias. They were set to the piano at a young age, and Julia studied under the well-known pianist Sigismond Lehmeyer. She appeared, at the age of twelve, at the Beethoven Rooms (16 June 1869), at a concert given by Lehmeyer, as one of four young lady pupils (‘the Misses Narghanay, Jackson and Ehrenberg’) playing 8-hand arrangements to close each half of the concert. She played at several more concerts, mostly for Lehmeyer and his star pupil Charlotte James, over the next years, before mutating into ‘Miss Warwick’ (allegedly named for her birthplace) and a vocalist, under the tutelage of Madame Sainton-Dolby [and allegedly Garcia] and the patronage of the Countess d’Avigdor and Baroness Lionel de Rothschild. She and her sister, Annie, sang regularly at the Berkeley Street Synagogue, but my first sighting of ‘Miss Warwick’ on a public platform is 24 February 1873, all of sixteen years-old, singing the soprano music in a performance of William Jackson’s Isaiahwith the Kilburn Musical Society, before, later the same year, she was billed in the Covent Garden Promenade Concerts, and sang in August and September in the series, alongside Rose Hersee, the Siedle sisters, Clarice Sinico, Helene Arnim et al. In 1873 (22 October) and 1874 (28 October), she appeared at the Albert Hall, with William Carter’s choir, singing the minor music in Elijah,and she repeated the assignment, along with Carter’s pupil, Miss Julian, on other occasions. I later spot her at Cambridge, singing the Mermaid in a concert version of Oberon (Miss Julian was Fatima). 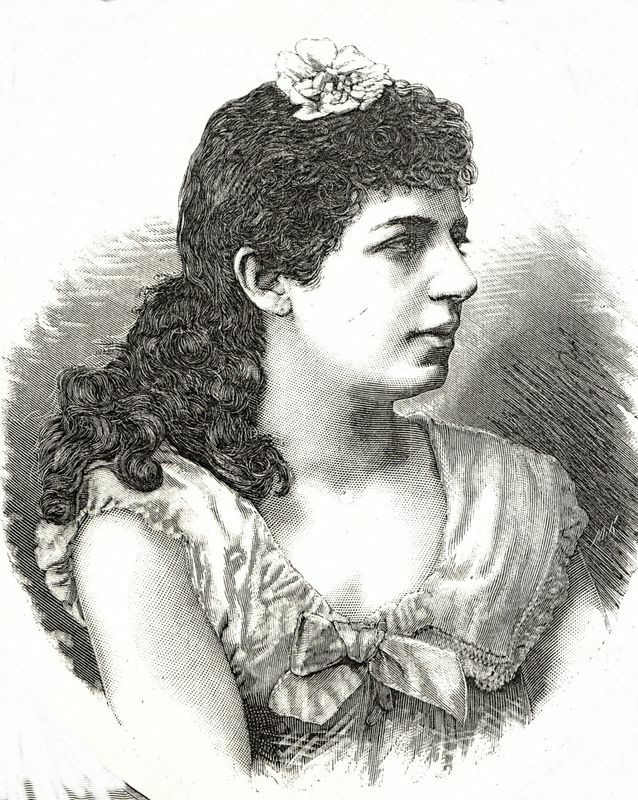 In later 1876 she became ‘Miss Giulia Warwick’, to give several performances with the Carl Rosa Opera Company. She was tried first (7 October 1876) as Zerlina to the Don Giovanni of Frank Celli and the Anna of Cora Stuart at the Alexandra Palace (not, pace The Era and other articles, the Crystal Palace), and on 4 November she appeared as Arline in The Bohemian Girl, alongside Turner and Celli, in the regular Rosa season at the Lyceum Theatre. She repeated the role for the last night of the season (2 December) and apparently played a performance as Marcellina in Fidelio,vice Julia Gaylord, as well. When the company moved on to Liverpool, she paid a flying visit to that city for one more Arline. Shortly afterwards, she was cast in a curious 5-act opera entitled Bjorn which was given a forced run at the Queen’s Theatre, but that engagement doesn’t seem to have stopped her taking part in a concert party tour with the violinist Wilhelmj, singing Israel in Egyptin Belfast, at Kuhe’s Brighton Festival, visiting Leeds with Wilhelmj (‘an excellent soprano’) or repeating her Carter Elijah. When Bjornhad been buried, she returned to the concert stage – the Crystal Palace, the Covent Garden and Agricultural Hall proms (‘attempted’ Elsa’s Dream), – until she was again hired for the theatre: and secured her place in the reference books. She was cast, ‘of the Carl Rosa Opera Company’, to play seconda dama in a new opéra-bouffe at the Opera Comique: The Sorcerer. As Constance Partlett, the pew opener’s juvenile daughter, she was seen to have ‘something to learn as an actress’, but she did well enough that, when producer Richard D’Oyly Carte re-deployed leading lady, Alice May, to his newest show, and Mrs Ware had assured the interim, she was given the part of Aline for the remainder of the run. She also appeared in the forepieces Dora’s Dream and The Spectre Knight. However, she did not continue with what would become the Savoy company. Her first engagement was her last. After the run at the Opera Comique ended, and various concerts had filled the interim, she rejoined the Carl Rosa, as a supporting soprano. Over some three years she appeared as Ann Chute in The Lily of Killarney, the Gipsy Queen in The Bohemian Girl, Clara in The Siege of Rochelle, Elena in Piccolino, Bianca in The Taming of the Shrew, Ritta in Zampa, Paquita in Carmen, the mother (!) in I Promessi Sposi, Donna Inez in Moro, Martha in Faustet al, to fair and usually brief notices, before ending her time with the company in mid-1882. She returned to concert singing – in 1883 (1 May), I see her at St James’s Hall singing with Willing’s choir, alongside younger sister Alexandra, who like Julia had switched for piano to vocals –before moving definitely into the field of comic opera and musical comedy. In 1884 (7 May), she was hired by Alexander Henderson for the second role of Jessamine (‘The Song of the Clock’) in Nell Gwynneat the Avenue Theatre, and subsequently went on the road for the same producer playing Edwige behind the Falkaof Tillie Wadman. 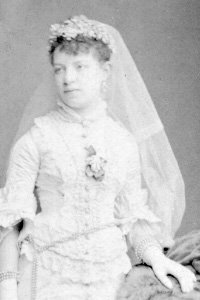 She next took the role of Falka in the number 2 tour, run by van Biene and Lingard, and later at the Comedy Theatre, where she played the title-role in the show’s 1,000th performance, 8 April 1886. She went on to play Daphne in the short-lived Glamour, and was then engaged by van Biene to tour in Pepita and in The Old Guard, a series culminating in a return to the Avenue Theatre as Fraisette in The Old Guard and Princess Etelka, behind Marie Vanoni, in Nadgy. 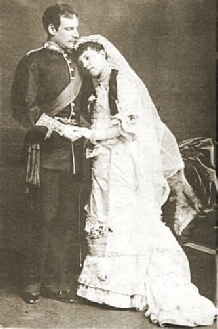 In 1889 she toured as Frédérique in La Girouette, and in 1890 she took part in the Globe Theatre production of The Black Rover, replacing the composer’s insufficient wife in the large leading role of Isidora. In 1891, she went out at the head of the ‘Giulia Warwick Opera Company’ playing the complex title-role in the French musical-comedy Madame Cartouche, which found only medium success, after which she ended her time on the touring circuits. In 1892 (29 March), she mounted a concert of her own (‘Tu fai la superbetta’), at the Prince’s Hall, with a fine bill including Valleria, Hilda Wilson, Ben Davies, Maybrick and sister Alexandra, and in the later part of the year took a turn on the music-halls singing (‘of the Carl Rosa Opera Company’) alongside Cora Stuart – now playing comedy – and some performing dogs and cockatoos, from the Empire Palace, Edinburgh to the Star Theatre of Varieties, Dublin. In 1894, she was appointed to the staff of the Guildhall School of Music in the department of ‘gesture, elocution and deportment’, but she had not yet finished with the stage. In 1896, the ‘very tiny woman, with a big voice and vivid personality’ was cast as Aunt Barbara, alongside star May Yohe, in The Belle of Cairo. Miss Yohe and the show turned out failures, and Giulia returned to the Guildhall. In 1896, following her sister’s death, she had succeeded to her post on the vocal staff of the institution, where she remained till a couple of years before her death at the age of 47. Her two sisters had predeceased her. Eldest sister, Annie Ehrenberg (d 5 February 1897) who had not developed her musical career, married the music critic [Thomas] Percival [Milbourne] Betts. Younger sister, Alexandra [Leah], after studying under Randegger at the RAM, had a promising career as a mezzo-soprano, before ill-health led her away from the platform into teaching, and a post on the Guildhall staff. She died at just 33 years of age (2 September 1896).